Financial accounting is a basic practice that most small and large businesses participate in on some level. Small businesses have simpler financial needs than large corporations, but leaders need the same information to make strategic decisions that will help a business grow. Financial accounting serves as the principal method of communicating financial information about a business entity or an individual to outside parties such as banks and investors. In a technical sense, financial statements summarise the accounting process and provide a layout of account titles and amounts of money. Furthermore, financial accounting report the financial position or financial status of a business or an individual as well as financial changes at a particular time or during a period of time. 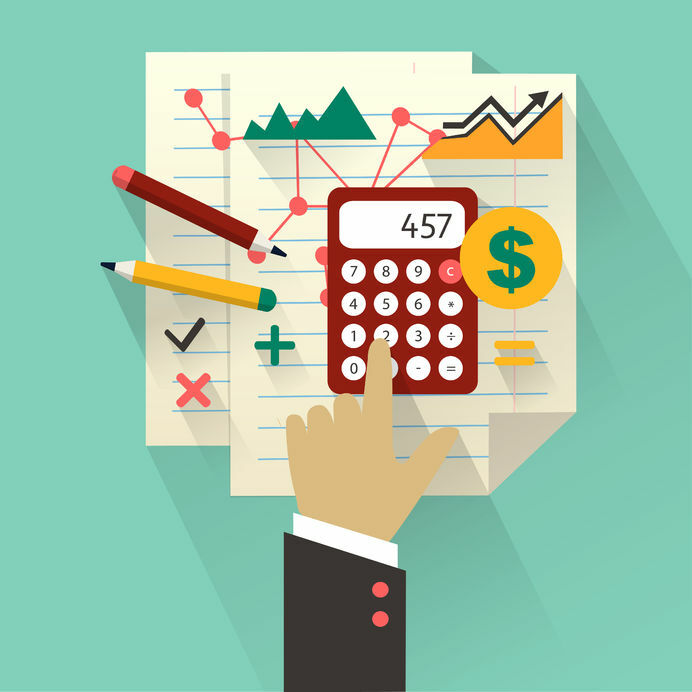 In other words, companies often use accounting as a way to keep score. Small businesses often find it important to keep score since accurately tracking financial information is the best way to determine the effectiveness and efficiency of their operations. Failing to understand or track financial information can quickly lead to dangerous business situations, such as low cash flow or the possibility of bankruptcy. Financial accounts can also provide historical records for making future business decisions. Financial information about business: Accounting makes available financial information i.e. the profit earned or loss suffered and also what are the assets and liabilities of the enterprise. To provide information useful for the making economic decision. Access to Information: Among the most significant advantages of financial accounting is the information it reveals about a business. This information is useful to not only leaders who use data about revenue, expenses, assets and equity to make decisions for the future, but also to investors who examine the results of financial accounting, known as financial statements, to decide which businesses to invest in. Financial accounting allows business leaders to alter their budgets and plans for the future to address new financial problems or take advantage of the financial strengths that accounting reveals to grow or gain competitive advantages within an industry. Acts as legal evidence: Proper books of accounts maintained in systematic manner act as legal evidence in case of disputes. Facilitates comparative study: To provide information useful to investors and creditors for predicting comparing and evaluating cash flow in terms of amount timing and related uncertainty. Assist the Management: Accounting assists the management in taking managerial decisions. For Example, a Projected Cash Flow Statement facilitates the management to know future receipts and payment and to take decision regarding anticipated surplus or shortage of funds. Replace memory: No business man can remember everything about his business since human memory has its limitations. It is necessary to record the transaction in the book of accounts promptly. There is no necessity of remembering various transactions since on need the records will furnish the necessary information. Helps in taxation matter: Accounting facilitates the settlement of tax liability with the authorities by maintaining proper books of accounts in systematic manner. Track Cash Management: Financial accounts allow companies to purchase economic resources, goods or services on account from other businesses. These purchases represent trade credit in the business environment. Companies use accounts payable and accounts receivable financial accounts to keep track of this information. Accounts payable represents all money owed to other businesses for resources purchased. Accounts receivable includes all money not collected from consumer purchases. Managing trade credit is an important cash management process. Companies use financial accounts to determine how much money currently resides in their bank account, how much money they must pay vendors or suppliers and how much money they need to collect from consumers. Do you need accounting training but not sure which finance training is for you? Give us a call and find out more about our financial accounting courses.